Lately I’ve been giving a lot of thought to the theory Malcolm Gladwell popularized in his 2008 nonfiction bestseller, Outliers: The Story of Success. Throughout the book, Gladwell repeatedly mentions the “10,000-hour rule,” based on research by psychologist Anders Ericsson, claiming that the key to success in any field is largely a matter of practicing a specific task for a total of around 10,000 hours. “The idea that excellence at performing a complex task requires a critical minimum level of practice surfaces again and again in studies of expertise,” Gladwell writes in Outliers. Learning and gaining experience are gradual processes; skills evolve slowly, with deliberate, dedicated practice. Although we may know someone who calls herself a reiki master after having taken only one weekend reiki workshop, and someone else who considers himself a master chef after a two-week culinary class in Paris, we all know deep down that true mastery takes time. To me, a non-scientist who has no intention of arguing either for or against Gladwell’s 10,000-hour rule (which some scientists have seriously questioned), the idea is merely intriguing – especially at this stage of life. To notch up 10,000 hours of practice in any given field would require devoting about 90 minutes a day to it for 20 years. The question in my mind becomes: Who among my cohorts has that kind of time left on their life clock? And another question: Why bother? An old, dear friend since high school came to Taos last week to visit me and to celebrate our upcoming back-to-back 70th birthdays. I baked us a special high-altitude birthday cake (Taos, New Mexico’s elevation is 7,000 feet); we talked nonstop, catching up on our respective lives; and we toured Taos together. In the course of his visit, my friend John helped to answer some of the 10,000-hour questions that had been nagging me. 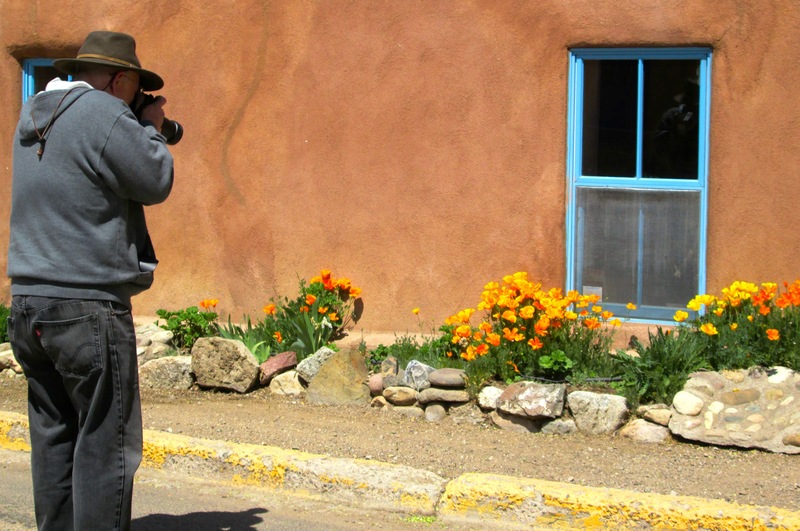 In 2009, at the age of 64, after a successful 35-year career as an employment lawyer, John decided to return to his first love, photography, and pursue this passion full-time. He estimates that since 2009 he has devoted at least four hours per day seven days a week to his new photographic career. Add to this total (8,400 hours) the time he spent part-time prior to his retirement, and he’s already exceeded his 10,000 hours. 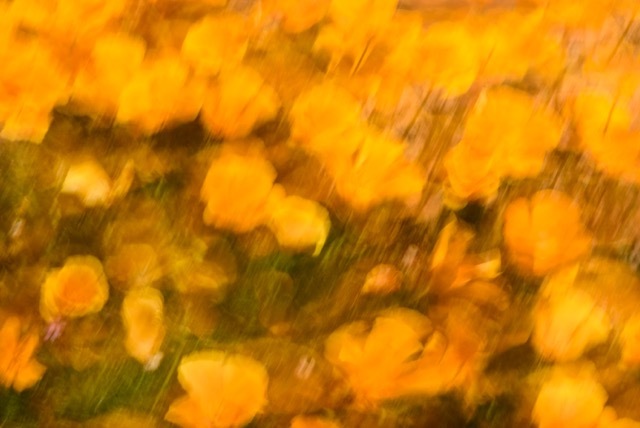 Today John is a highly regarded professional fine art photographer in the San Francisco Bay Area who, as his website states, “uses the camera to capture a mood and visual experience usually associated with other visual art forms,” such as Abstract and Impressionist paintings. He is also a photography instructor with the Yosemite Conservancy and sometimes tutors individuals and small groups on how to improve their photographic techniques. John’s abstract-impressionist interpretation of those poppies. “I paint with my camera,” he says. John’s visit to Taos was an immense birthday gift for me. By example he taught me that though none of us knows how many hours, days, or years we have left after 70, we must use them wisely – pursuing things that we’re passionate about, things that give us joy and purpose, things that make the world we’re still living in a little more beautiful. Why bother? What a silly question.